Well, today is the day. My boys have entered the next school year. 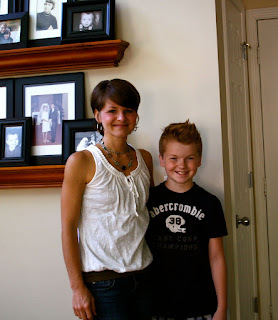 I can't believe I have a freshman in high school and my baby boy is in 6th grade a middle school. I had to leave to take Jay to school at 6:40am this morning (the bell rings at 7:10am) and Max took the bus that leaves at 8:20am. And no, I don't want to talk about the fact that my baby boy does not want his mama to drive him to school anymore...thank you for asking. So, this morning is all about running around like a chicken with my head cut off! Ya gotta love a new routine to shake things up! 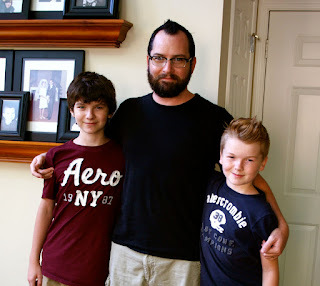 Since we were all cleaned up at the same time, I took a couple of pictures of the boys on Thursday before I took them to their orientations for each school. They look forced to take pictures with me! Let the awkward times begin! I took my shoes off to show how big they are getting. Jay is now taller than me! The boys with Tony! I love my men! We are now a gluten free household. That means, when cravings strike, I rise to the occasion. No one will live without in this house! It's a rule I've had since having to remove foods from our diet. These are incredibly easy to make. They come together in 30 minutes! Probably a scary combination here. I want to say this makes about 24 doughnut holes, but since they were eaten faster than I could I make them, I'm not 100% sure. I used my gluten free pate a choux recipe which I have yet to share, but I will do that soon too! Combine the water, butter, salt and stevia (or sugar) in a sauce pan. Bring to a boil, stir to combine. 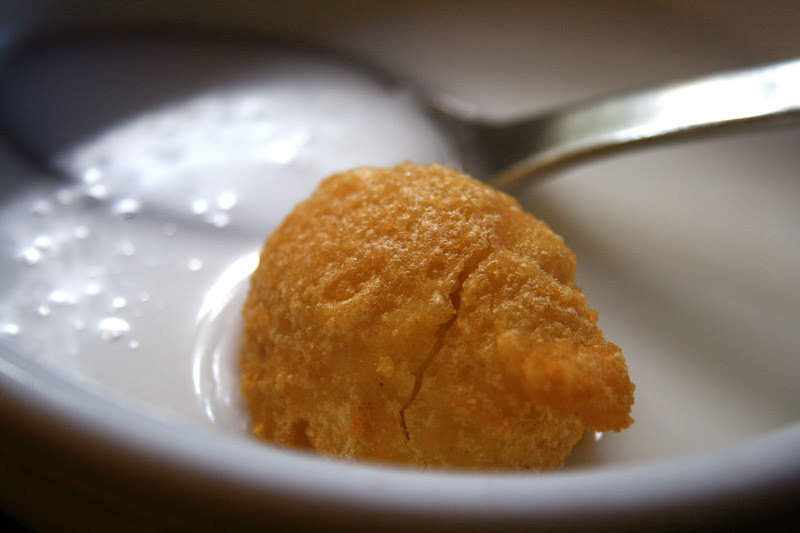 When butter is dissolved, add the flours and baking soda, stir to bring together into a ball. Turn off the heat and allow the dough ball to sit for 5 minutes to cool slightly. 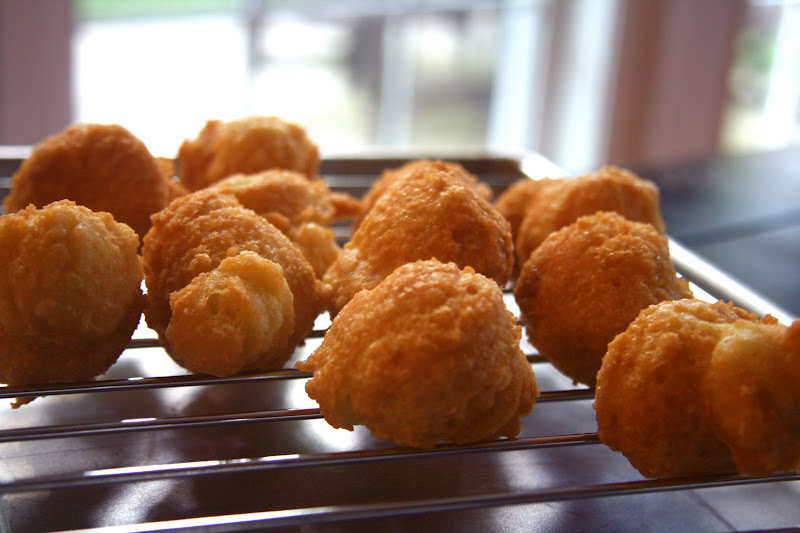 Add eggs one at a time to the dough ball and stir to combine completely before adding the next egg. I used a small cookie scoop to make these. You will scoop about 2 TBSP of dough into to the oil (carefully). Do this in batches, but don't over crowd the pot. Turn the doughnuts over when the downside is slightly browned. Cook until the opposite side is browned and remove from the oil. Place on a paper towel to soak up the oil. Allow them to cool slightly. Combine the powder sugar and water one tablespoon at a time. 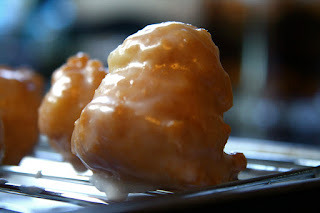 You want the glaze to be thick so it sticks to the doughnuts. At this point you can either glaze them or you can coat them in powder sugar. I did both, but as I mentioned in my previous post, they did not stick around long enough to get many pictures! 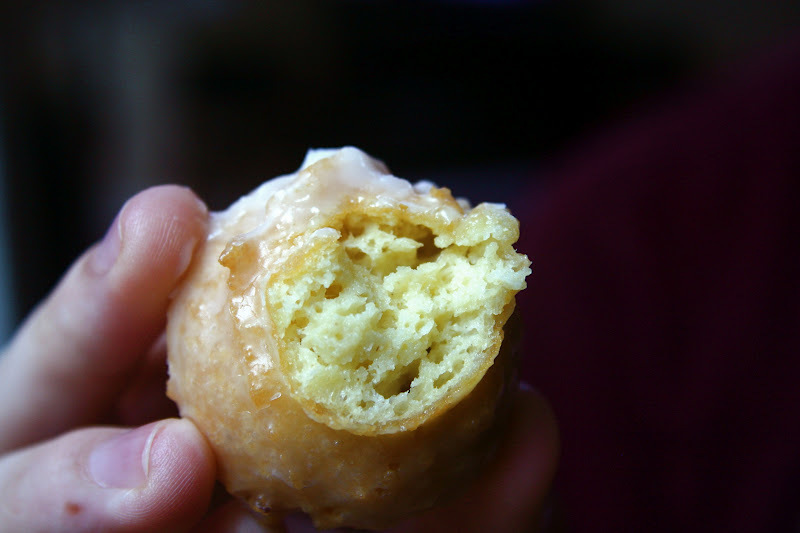 To glaze, dip the doughnut hole in the glaze mixture and coat well. Place on a wire rack to dry and allow the glaze to harden. Today marks the beginning of a new era in my life. I am going to embrace the change and look forward to this new adventure! Happy Monday! I'm sharing these on Slightly Indulgent Tuesday and Allergy Free Wednesdays. ooooh, you KNOW I will be making these soon! thank you!! big day, I know. you'll be fine, Mama! exciting days for the boys, wishing them great years ahead! Those doughnuts look amazing. I just had a cheat day and you have me already planning what I want next week. Doh. aww you are SO CUTE with your boys! I love that!! I also dig the gluten-free donut bites you created, they look delish!! I really love these pics. And the doughnuts look awesome! I think I've mentioned this before that doughnuts were a special snow day activity for my mom, brother, and I.
gosh i wish i was there with coffee this morning. and I can't believe your oldest in in HIGH SCHOOL!!! WOW! Proud mama! So, so , so cute! And oh my goodness, your hair - love it! I'm always jealous of people who can pull off short hair. I'll take a dozen donuts please. You are ALL adorable! And, yes, I agree with Alisa ... your hair is super cute. :-) Even if the pics might be "forced," if they are still smiling in them, that's a very good sign. ;-) My "baby" moves to New York City on Wednesday ... that's the day after tomorrow--yikes! As a parent you want them to go off on their own and do well, but there's also a part of you that wants them to be just down the block. Wednesday will be both exciting and hard for this mom. I just can't imagine what this is all going to be like. Really. My husband and I are very aware of how fast time is going by...and it's sort of freaking us out. That being said, we are loving each other, kissing, hugging, playing, and enjoying each other everyday. Thanks for sharing. And these doughnuts look great. Yum! Take care of yourself there Mama! You look gorgeous! 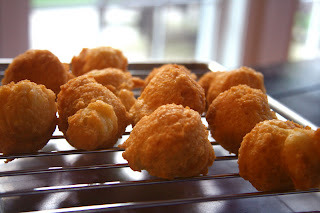 AND these donut bites look amazing.. I know I've told you before - but I love love that haircut on you. It's really flattering. I have a friend who's son goes off to college this Aug. I just can't imagine watching them be so grown up! oh man such a great pictures! beautiful family. I bet things are crazy for you, my niece starts a new school (well not really school but for her it is) wednesday and they gave my sister a long lists of things to get. Oh my word. First of all the pictures with your boys are just precious. You are just way too cute. 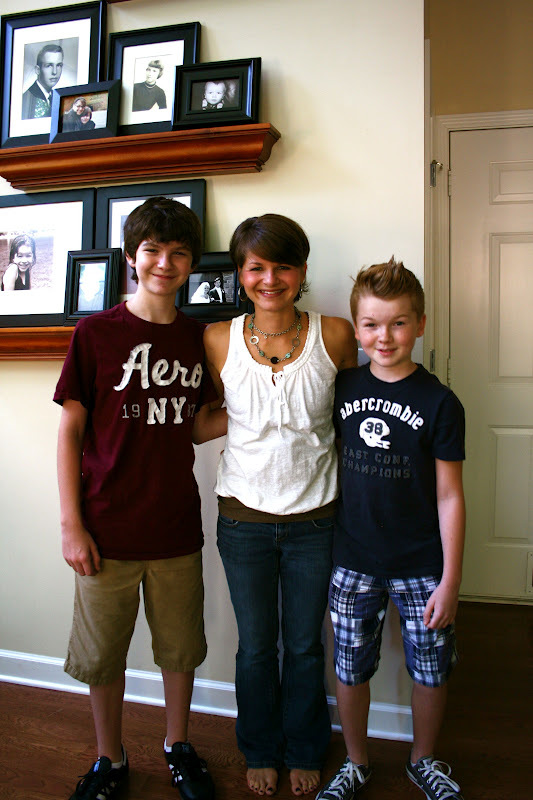 I can't even imagine the days when my boys go to school and get taller than me. What is that about with your guy? Ha ha. What a beautiful fam! You're gorgeous, Sarena. hope your boys had a great start to the school year! donuts look amazing! Yay! I've been waiting for this recipe! And holy cow! I can't believe how big the boys are getting! YUM, those look SO GOOD!! 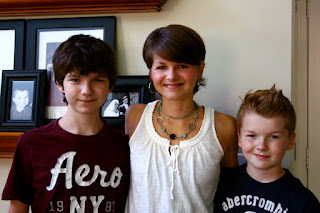 and um, you have the best looking family, so handsome ;-) you look fantastic! Is there any way to make these with no eggs or an egg replacer? Cindy, I've never tried it without eggs. Let me know if you try it! I'm cooking these right now!! However, just need a clarification....your ingredients list baking powder, but your summary for putting the ingredients together lists baking soda....which one is it supposed to be??? What kind of oil did you fry them in? Could I use coconut oil? Also, during the process of combining the ingredients you stated to turn the heat off. Can you elaborate on that step? can we just use gluten free all purpose flour for all of the flour? Nicole, I'm not sure you could definitely give it a try though. Let me know how it works!